"Wow you have family in Santa Paula too? We should drive out together sometime". I met Ozzie my freshman year of high school, when he developed a crush on my best friend Crissy. There was always something different about Ozzie, different in a good way of course. He seemed beyond all the high school drama. He was above petty things like popularity and cliques. He moved for a year or so and I vividly remember the day he came back. I was sitting in the school parking lot in my black VW Golf hatch back. My friend Ami was in the passenger seat. As we debated where to go for lunch (Bagel shop or taco bell?) and a boy on a skateboard came up to my window. My window was down because it was broken and was always down. It took me a second to recognize the thin, tall boy with dyed red hair. I wanted to throw my arms around him but my shock and seat belt kept me pinned into my seat. He quickly said Hi and that he was back. Our friendship grew and despite my need to be accepted by the "cool kids" and his desire to stay far away from them, we hung out outside of school. I loved being with Ozzie. We would sometimes take the 118 Highway on a 30 minute drive to Santa Paula. 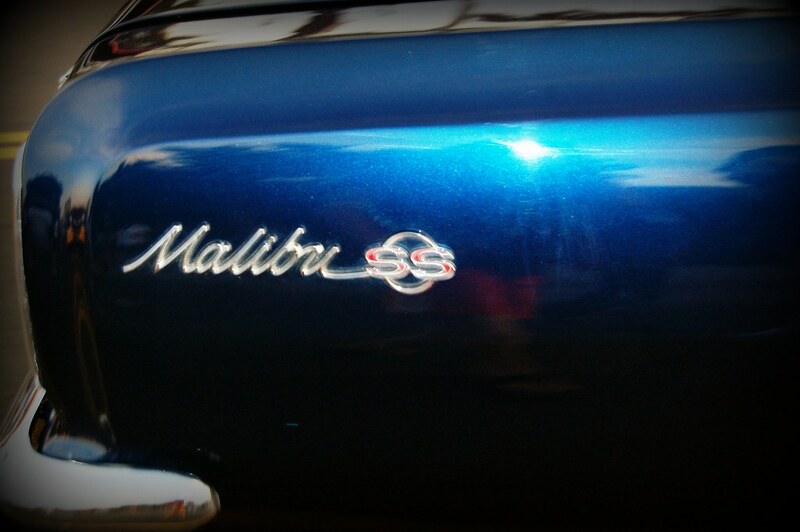 Ozzie drove a white classic Malibu. Somewhere in the late 1960's model. The doors creaked and were heavy. I always had trouble getting the lock up on the passenger side. I can still see Ozzie leaning over from the drivers side to unlock the door for me. We drove down the highway with the windows down. He had a tape player and we would listen to The Smiths and Smashing Pumpkins. We passed fields of yellow flowers and acres and acres of citrus trees. The world looked different from the passenger window of Ozzies white Malibu. It looked brighter, crisper, bigger. Much like how I saw Ozzie, his soul is brighter and beautiful. I never felt more myself or free than when I was with Ozzie during those high school years. As if the weight of trying so hard to look the right way and say the right things was lifted and I could be me. No matter how dorky, or naive the real me was. I could say anything that was on my mind and that feeling of freedom was blissful. Seeing a classic Chevy Malibu always reminds me of Ozzie and brings a smile to my face. Fabulous memories, and great writing. I wonder where Ozzie is, now. Hope he's successful.